In this article, the architect writes about houses that she saw and liked and also about present trends related to house design. She makes an attempt to understand what it is about some houses that make them stand out, as against others, which fail to make an ‘impression’. I have been to this house once and have never forgotten it since. 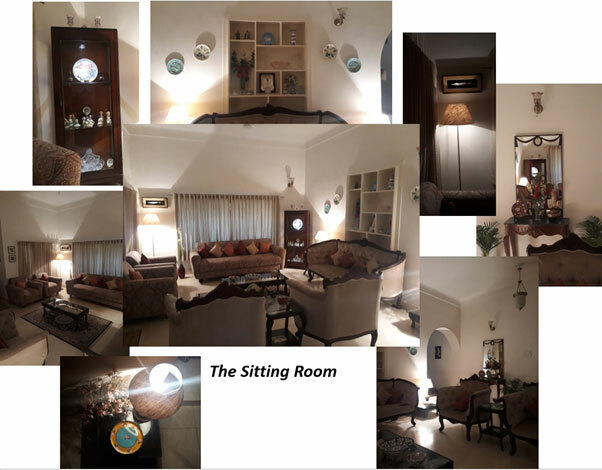 The spaces inside this house left an unforgettable impression of warmth and homely comfort coupled with elegant beauty. 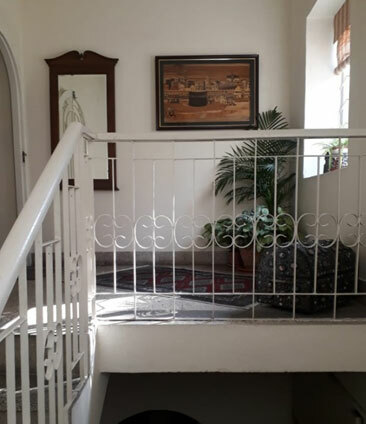 Built in the year 1971, this house, located in a posh neighbourhood of Hyderabad, was bought by the present owners, Nisar Ahmed and Sanobar, in 1987. Ever since, it has been cared for by them and this is reflected in every corner of the house. The house is beautiful at every step. Starting from the very entrance. The deeply set arched English style doorways are a rare sight these days. Painted in bright white colour, they stand out against the terracotta colour of the walls. The potted plants are placed in a manner so as to direct you to the preferred entrance door. These cleverly chosen plants not only add texture against the plain wall but the colours of their leaves complement the colours of the wall and the door. The house is a ground plus one, bearing wall structure with 15” thick walls. 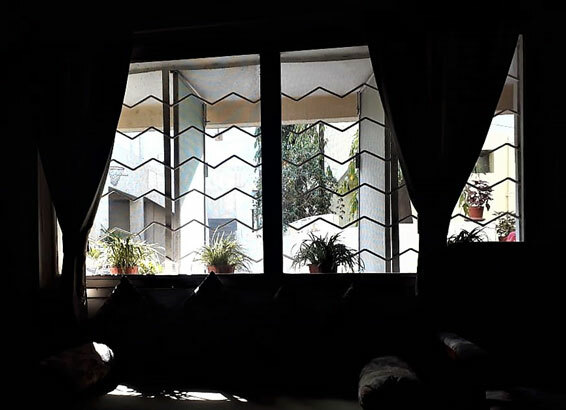 It has interesting metal framed windows which were popular in the 1970s because of their large glazing area, easy maintenance and strength (reasons comparable to the popularity of aluminium and UPVC windows today). We enter through the arched double doors to a warmly lit formal sitting area, a perfect setting for long relaxed conversations. 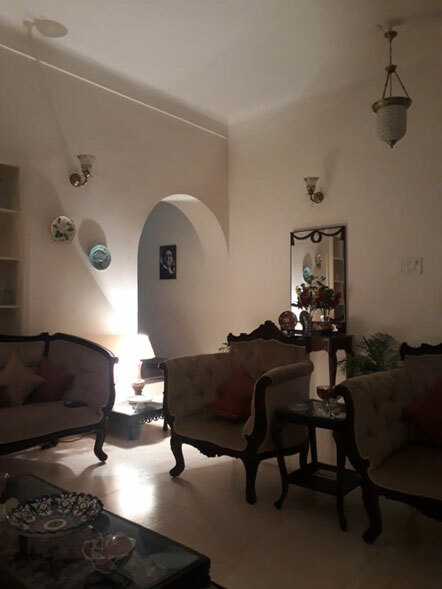 The path leading from the main door to the inside family space is along the wall on one side of the sitting room and hence, does not cut through or disturb the formal seating area in any way. There is also a beautiful console and mirror on this wall. The inner family room is through an elegant arch in the wall (similar and exactly opposite to the main door arch). The formal sitting space is beautifully designed! Everything in the room be it the layout, the furniture, accessories and colours contribute to the warm and elegant feel of the space. The size of the room is about 12’ X 16’ with a ceiling of 11’ height. The seating is arranged in an almost 12’X 12’ square, which is the ideal arrangement for a sitting room layout. Two pairs of sofa sets are placed in the hall. One in printed upholstery and the other of carved wood and plain upholstery, each set is placed like a L.
The accessories in the room play a very important role. They contribute to giving the room a certain visual scale. The straight, 8 feet long curtain rods are positioned at a 7-foot height, on two adjacent walls. These bring down the perceived height of the room from 11 feet to 7 feet. This is further reinforced by the positioning of the porcelain plates, the wall bracket lights, the display niche and the beautiful mirror and the console. Care has been taken to place the paintings and the porcelain plates at a level that makes it easy to view them. All these elements contribute in giving the room a cosy and comfortable human scale. The colour scheme for this room is earthy, giving a warm feel to with sparks of colour coming from the beautiful blue & white porcelain collection and the flowers displayed around the room. The lighting in the room is from the semi-transparent empire shade lamps of different heights. The colour of the light further accentuates the warm feel of the room. The landing space on the first floor has been elegantly done with a few green planters and an antique chest on the floor. The carpet placed at an angle, directs you to the room door. The wood framed mirror right opposite the flight of stairs adds a visual feeling of depth to the space. 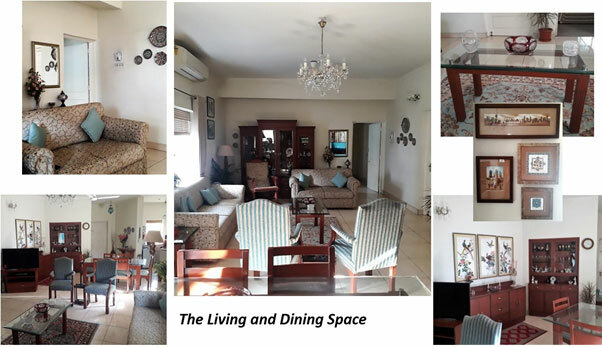 The family sitting area and the dining space are planned together in one large room. The two spaces are visually demarcated by the arrangement of the furniture. Because of the large amount of time spent in this room by the family, it is desirable to have a lot of natural light into the space. This house has two west facing windows opening into the family room, that bring in a lot of natural light throughout the day. The space is furnished with an optimum balance of wood, upholstery and glass furniture. The size of the furniture pieces add to the elegance and the daintiness of the space. The lovingly selected furniture pieces do not overpower the room either with respect to colour or size, thus achieving a serene balance. The plain cream coloured walls offset and highlight all the small and big paintings and tasteful porcelain, collected during travels by the family. By explaining reasons for my love for this house, I hardly do it justice. But still an attempt is made, so as to explain, to the future house owners, various aspects that contribute to creating a beautiful home. “The most important part of falling in love is not to explain why, but to sing the praises of one’s beloved.” - Architect Kengo Kuma on the work of Hiroshi Nakamura and NAP architects.